TNJ meets for weekly service on Shabbat every Friday at 8 p.m.
We also meet twice per month on Saturday mornings at 10:30 a.m. - on the first and third of each month. (Certain rare occasions are excepted, so if you're new, or visiting, check the calendar on this website). Our service is a unique blend of the ancient, traditional synagogue, with joyful, upbeat, and modern praise. We believe synagogue should be orderly, but also joyful, and fun for all ages, including for families and for the youth, which is a major focus for us. Our Shabbat service, therefore, is oriented in Judaic culture, and we emphasize the presence of God. 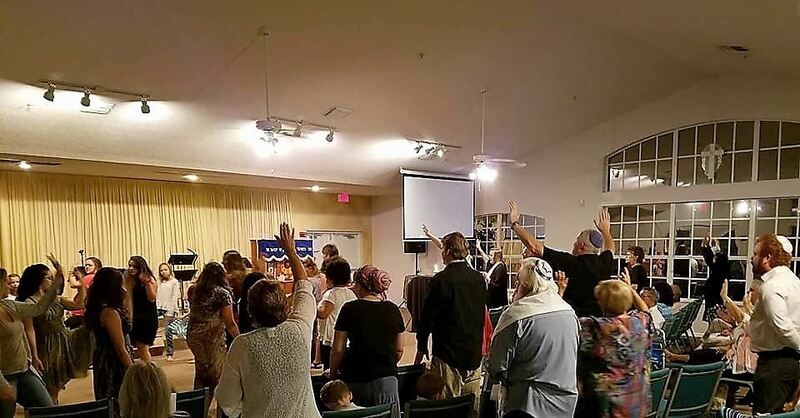 Every person who attends Shabbat at TNJ will feel a connection to Israel and to God. Also we intend for people to be inspired, healed, uplifted, stronger, wiser, more knowledgeable, and hopefully, happier as well! Come as you are. There is no dress code at TNJ. (Most people dress "business casual"). We take our synagogue very seriously. However, we believe the heart of Yeshua is about love and forgiveness, not rigid requirements having to do with our outer appearances. ALL ARE WELCOME! At Temple New Jerusalem, we think that a messianic synagogue is a house of prayer for all people - Jew and for Gentile alike. Also Interfaith couples will feel right at home. TNJ is a warm and welcoming congregation, not a place where people are judged or told what to do. Random acts of kindness and unsolicited love are frequently seen at TNJ! We are a secure place, we don't tolerate indecency or disrespect. But ALL are made to feel welcome and loved. Messianic Praise and Worship: Featuring music by Paul Wilbur, Jonathan Settel, Joel Chernoff, Ted Pearce, Joshua Aaron, Miqedem, Marty Goetz, Barry and Batya Segal, and others. We worship with song and dance. We clap hands, lift our voices, and make a joyful noise to the Lord. It is the JOY OF THE LORD, which is our strength. Some prefer to sit or stand silently, close their eyes, or just watch. It's all good. Our corporate worship is always culturally Jewish and from a biblical point of view. But we do it in a way that anyone can participate, if they want. Without feeling like they have to. 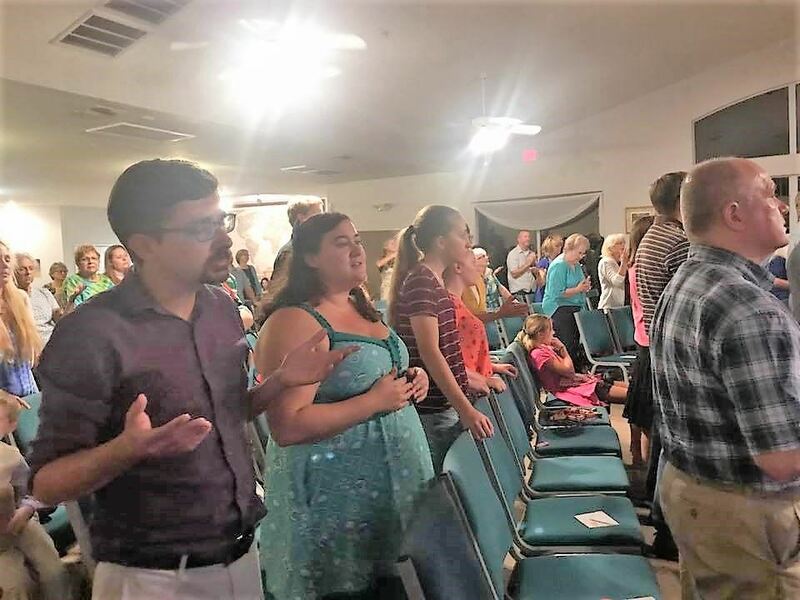 At TNJ, we value and safeguard decency and order...but we also recognize some folks are visiting us, or are new, and may not yet feel comfortable entering into worship. We have cultivated a worship environment which respects that and makes all people feel welcome and part of it. Even if they choose to just sit quietly. 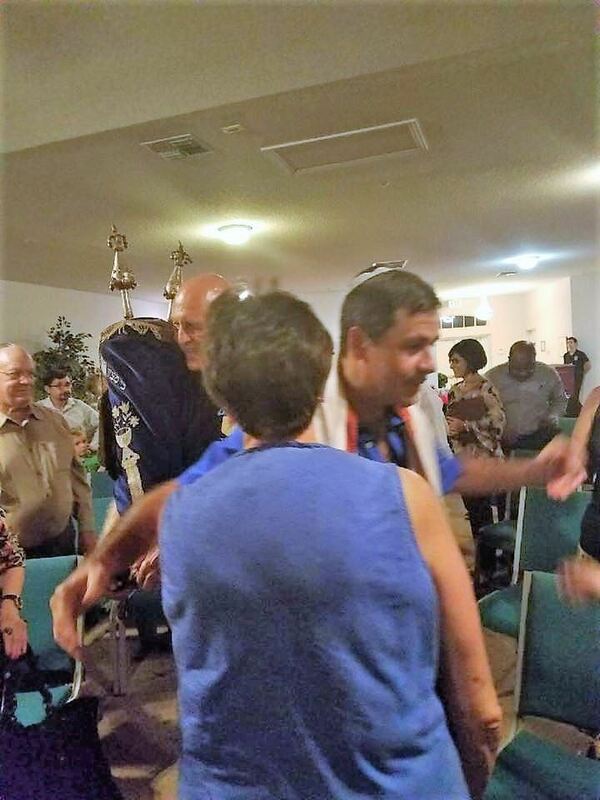 Davidic Dancing: As begun by King David in ancient times, we're a congregation that welcomes dancing before the Lord. Open to all who are interested. But totally optional. We keep the steps simple, there are no people in uniforms, nor a team that takes over. The dance circle is open to anyone who is moved to dance unto the Lord. 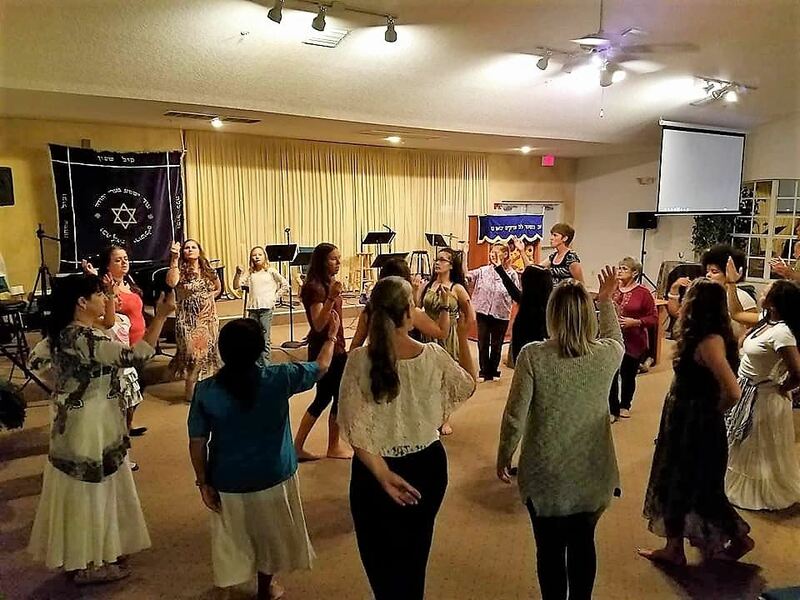 Traditional Hebraic Worship: Ancient prayers of Israel, many of which were the same prayers of Yeshua and his first followers, as found in the "siddur" or Jewish prayer book. 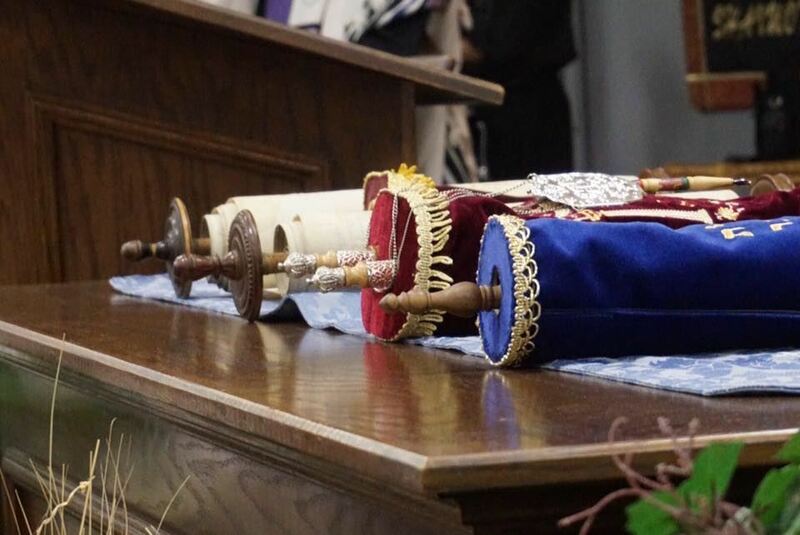 Torah Service: The Torah is processed with rejoicing, dancing, and musical praise. The "Parsha" or weekly Torah "portion" is read from the Torah in Hebrew and translated into English. Message from Rabbi Michael Stepakoff: Rabbi Mike is a dynamic, inspirational teacher, who is a heralded author and speaker in the messianic Jewish movement internationally. Rabbi Mike's messages are taught from both the Old and the New Testaments, and are oriented in helping us to understand Yeshua and his teachings. 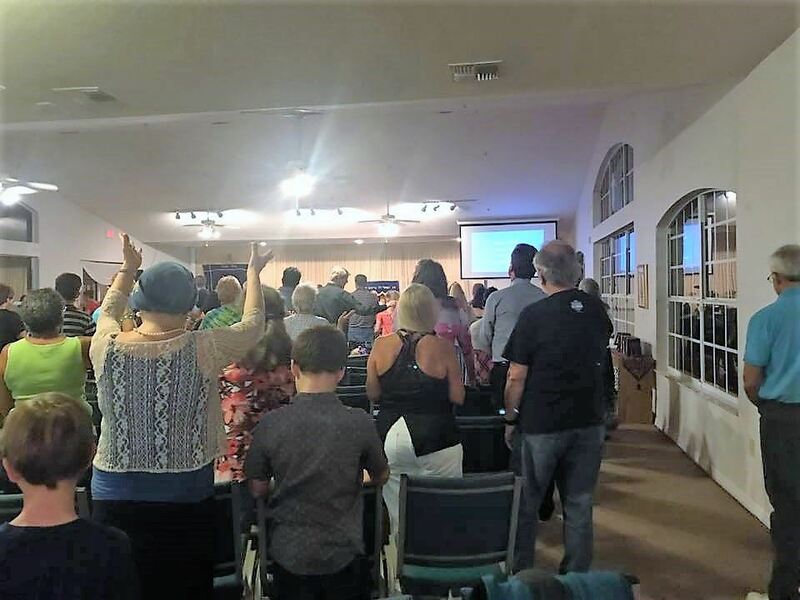 People who sit under Rabbi Mike's teaching, often find they are inspired with a new measure of faith, to live victoriously, as they grow in a deeper connection to God. Kiddush / Hamotzi: When Yeshua gave thanks, he often blessed the bread and the wine, these are the prayers He said. Oneg: A joyful time of awesome food, drinks and fellowship. Visitors are encouraged to meet Rabbi Mike and his wife Tara.